This is a perfect spring casual outfit. 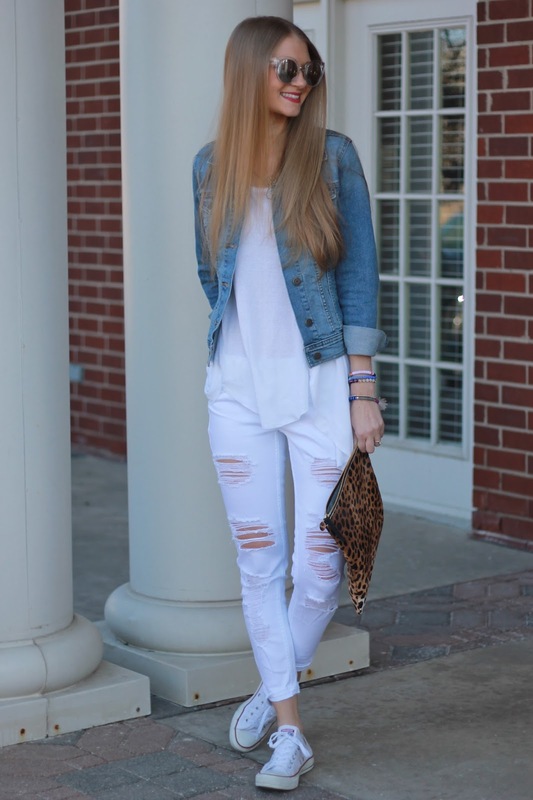 All white with a little denim + leopard and my new favorite bracelets. This pair of white denim is my new favorite (and the price can't be beat). They are perfectly distressed and look identical to a designer pair. I am so glad today starts our spring break. So excited to have a whole week off to get other stuff done (like check things off the wedding checklist) and relax a bit. Hope you all had a great Easter yesterday! We had a great day with family (and way too much candy).